After reading through our carefully assembled Danby wine cooler reviews, you’ll be one step closer to choosing the perfect wine cooler to fit in with your specific wine storage needs. 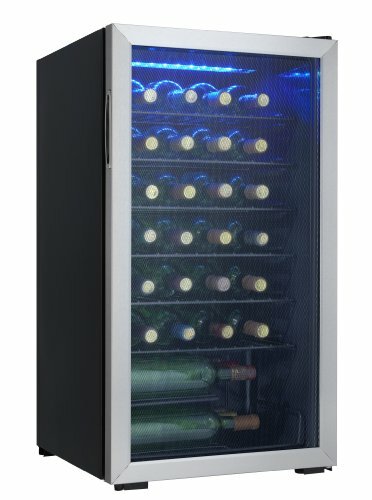 The simple addition of an appropriate Danby wine cooler can add volumes of class and a certain air of panache to your interiors, while the required job of keeping your wines cooled at optimal temperatures rounds up the all-round functionality of the cooler you ultimately choose to settle on. Read on to compare sizes, functions, and styling, with the view of selecting the perfect cooler for your needs. If you have a steadily growing wine collection of up to 36 bottles, there is virtually no way of displaying them inconspicuously. 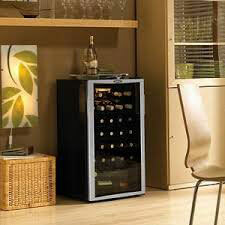 You might as well display them in fine style then with Danby’s 36 Bottle Freestanding Wine Cooler. This model from Danby brings together convenience and affordability. The affordability factor goes beyond the purchase price, however, spilling right over into its conservative use of power which works out well for your energy bill. 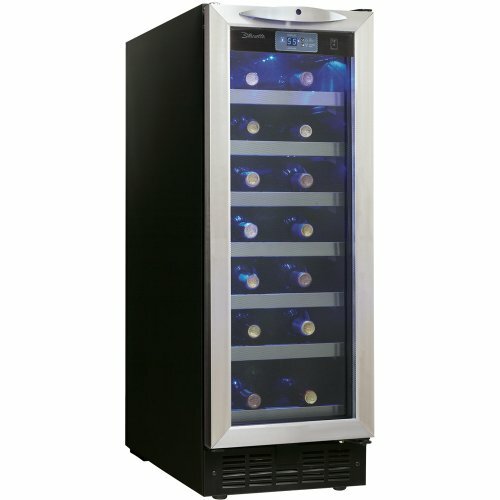 The unit which features a smooth rear design adds a good measure of elegance to your displayed wines with the blue LED interior light. The single temperature cooling zone ranges from 43-57F. 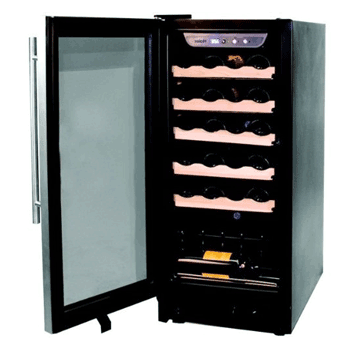 The overall build of this wine cooler seems to be very sturdy and you definitely get good value for your money. In fairness, the manufacturers more than hint at this cooler having been built for short-term wine display and storage, so in light of that it’s a solid, low-cost wine cooler. As with many of Danby’s products (including those which have nothing to do with wine storage and cooling), this Silhouette Wine Cellar was purpose-built to eat up as little interior space as possible. With this particular wine cooler though, this minimal space use is achieved while maintaining a big enough capacity to store up to 27 of your favorite red, white or even sparkling wines. Seven stainless-steel face wire shelves are enough to store, lock-away and display your wines in style. Enjoy the added practicality of an adjustable thermostat that is tied to a temperature range of 39 to 64F. The interior is also LED-lit for added effect. Man caves, small (and medium sized) kitchens, and home bars will be made to look that much classier and perhaps more fun with the addition of this Danby 27-Bottle Silhouette This cooler earns our respect mostly because of its practicality, though. It’ll only take up about one foot of what can be very limited cupboard space. It also perfectly replaces an old trash compactor, making it ideal for small apartments or condos. Your fellow wine-loving guests are probably already familiar with the Danby brand. Either way, one thing that’s certain to justify your investment in a Danby wine cooler is the fact that your displayed collection will invariably stand-out. 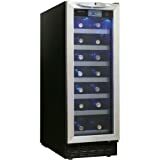 Danby wine coolers stand out in more than one way though, with their unmistakably elegant design backed up by the manufacturers’ helpful after-sale service. If you select the right warranty option (they have an extended warranty available) you can enjoy extended coverage of your cooler as a great alternative to household goods insurance. Your wine cooler will naturally get put through its paces, possibly running non-stop to keep your favorite wines chilled at their optimal storage and serving temperatures. Because of this, you never really know when the full parts and labor coverage might come in handy. 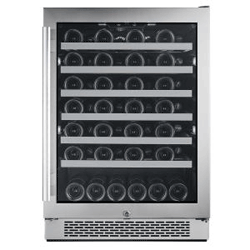 This is not to say you should anticipate anything to go wrong with your Danby wine cooler, but for those units which were built specifically for short term use, it helps knowing that you can get some great service beyond your product purchase. Danby’s wine cooler range of products enjoys the honor of having more happy customers than any of those who have something to complain about. This is especially true when taking into account buyers’ final decisions in matching their wine storage and display requirements to the wine cooler best suited to those requirements. It can be very easy to overlook some practical considerations when making your selection from Danby’s great range of visually appealing wine coolers. However, practicality should play a major factor because you definitely don’t want to find yourself regretting having a rather elegant looking cooler that is great for reds, while your personal taste and collection is bursting at the seams with white wines. As a result of the wide range in Danby wine cooler design styles, a Danby wine cooler can either act as the focal and driving point of your interior spaces or it can effortlessly blend in with your existing décor. It also fits in well with contemporary furniture to complete the overall look and feel of your home bar or kitchen, or even your man-cave (den). 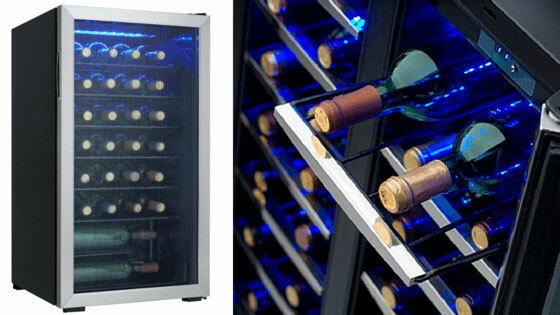 Danby wine coolers which can typically hold anywhere between 17 and 50+ wine bottles are a wine drinker, entertainer or wine collector’s ultimate companion. This is simply because of their wide range in functions, features, and design styles that fit into just about any setting. Design-wise, with the right planning, positioning and tweaking of your interiors, you can even find an appropriate Danby wine cooler to extend your existing wine cellar. Whether you want to extend your existing wine cellar with a suitable additional unit or indeed if you plan on purchasing a wine cooler to be used as a freestanding, independent cooling and presentation unit, there is probably a perfect Danby match for you and your wine storage / display needs. Freestanding Danby coolers are ideally designed and built with optimal wine preservation and stylish presentation in mind. This combination of factors in only fully appreciated by a truly discerning wine collector and regular consumer. As with just about any other purpose-specific product from these manufacturers, the right choice of a Danby cooler could have you in possession of one that is extensible in its use. The right cooler could easily be “borrowed” for use at kid’s parties and the like, as the adjustable/removable shelving that comes with certain models allowing for the storage of soft drinks like 2-liter sodas. Danby also provides the option of registering your purchased products, which ensures you can get the most out of your wine cooler’s everyday use through official ownership support. Any product review of a significant planned purchase should always be taken with a pinch of salt. To get the most out of anything you buy, you have to make sure it covers all the bases of your specific requirements. The same applies to the wine coolers we’ve tested and reviewed here. 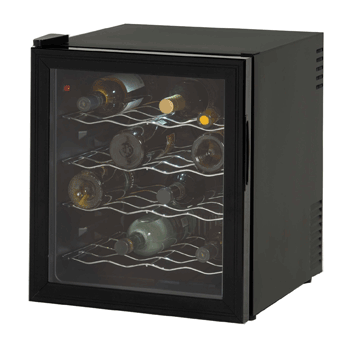 The perfect wine cooler for someone whose collection is dominated by red wines would not be good for someone who is purely a white wine enthusiast and vice-versa. That said, we hope our Danby Wine Cooler reviews only leave you with a final decision in your ideal cooler to choose, based on some personal preferences and tastes.